This synthetic wax comes in one pound blocks. It can be used alone or mixed with paraffin for batik. 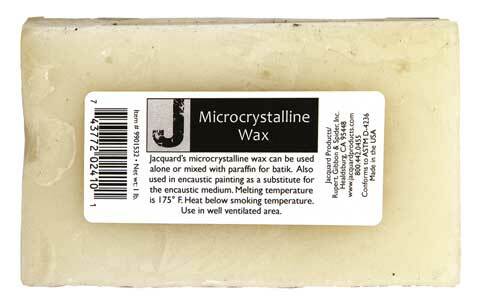 Also used in encaustic painting as a substitute for the encaustic medium. Melting temperature is 175° F.